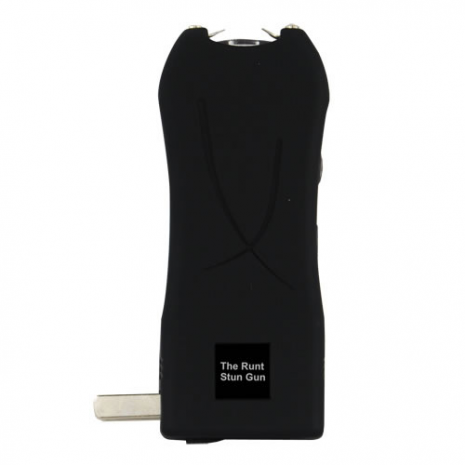 THE RUNT 20,000,000 volt Stun Gun now has a LED flashlight and wrist strap disable pin. 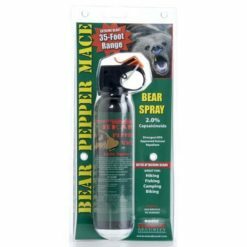 It’s easily concealable and virtually undetectable in the hand of a woman or a man. 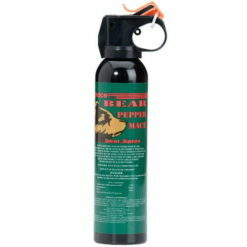 What your attacker doesn’t see will drop him like a roach who has ingested a little too much Black Flag. 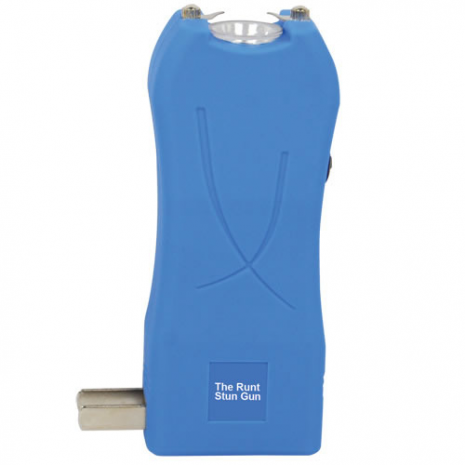 The Runt uses a new cutting edge micro-technology to deliver super powered protection. 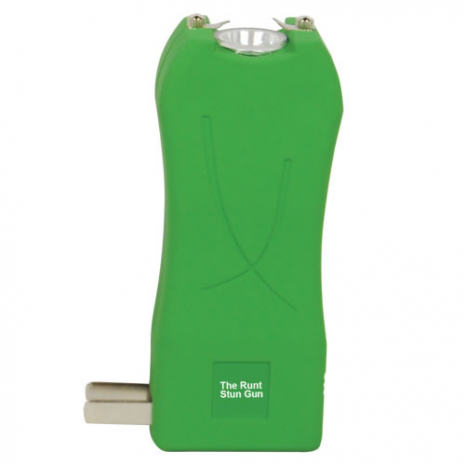 You can carry the Runt in your hand or pocket. 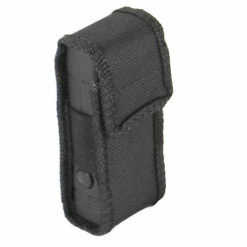 If you would like to wear it like a cell phone there is a heavy duty nylon belt loop holster included. I’ve had a few stun guns back in the day when they were 300k volts or so. 20 million?? Lol. 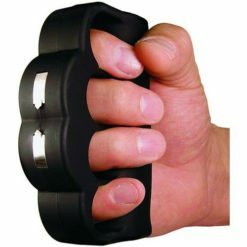 It is so loud and intimidating just pressing the button. Anyone who approaches after a warning fire is crazy! Shipping was really quick, love Supreme Defense! 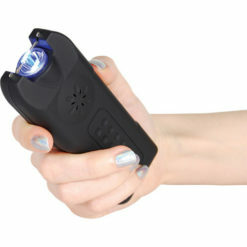 Definitely the best stun gun out right now. 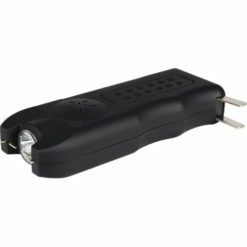 20 MILLION volts in the little thing.. Happy customer. Got mine today, the delivery was fast. 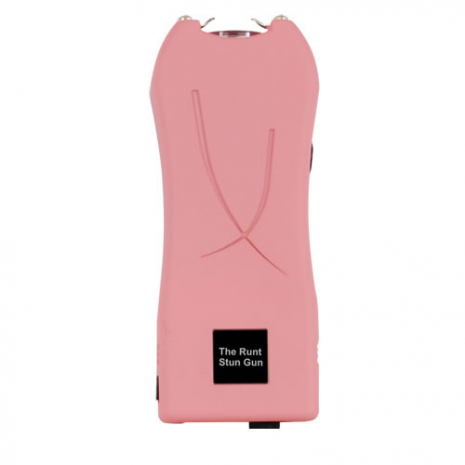 The “Crack” when this stun gun is fired it insane. Just the sound alone would make me run.. 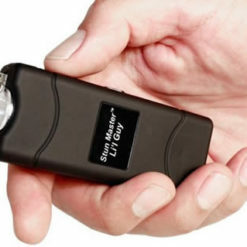 This stun gun is shockingly useful. 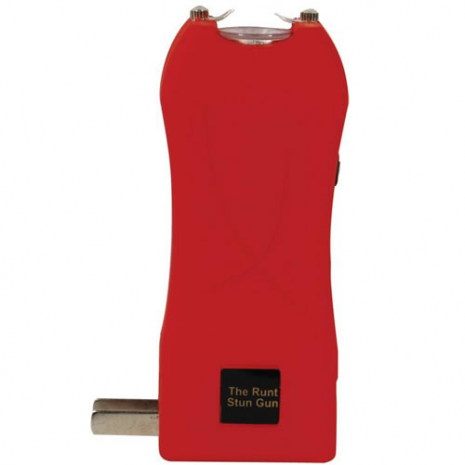 It is one of the few guns that still has a lifetime warranty as well as a recharger and a free holster. 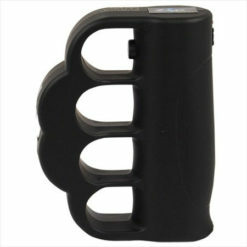 Most stun guns Ive seen have none of this! 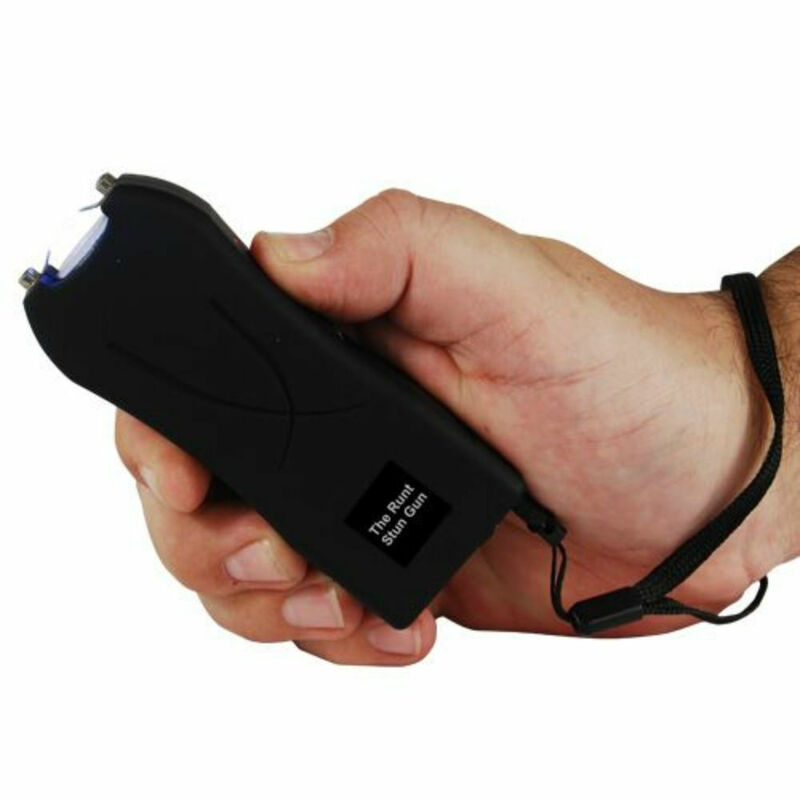 Just received this stun gun today.. Had to test it out so i hit my husband with it on the back of the leg and he fell like a ton of bricks!